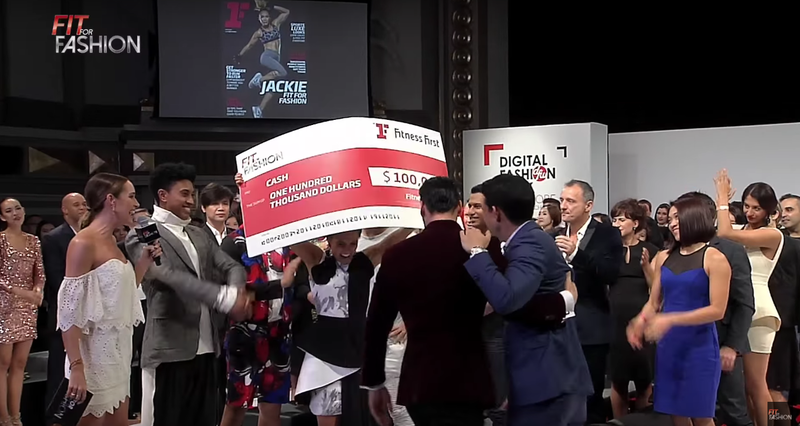 Jackie walks away with $100,000! You truly deserved it, Jackie! The confidence that Jackie showed is a total fit for FIT FOR FASHION! I can see so many qualities in Jackie. She works out fiercely and does the catwalk so elegantly as compared to ME! of that week! In fact she won a total of 6 out of 10 physical challenges! Her motivation and drive is so inspiring and makes me want to also perform and train as hard as her! She definitely shows GIRL POWER and she is definitely my FITNESS IDOL! 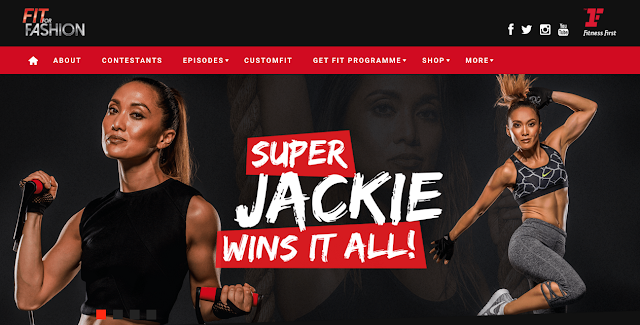 I promise, that I will workout even harder because Jackie just showed me that anything is achievable just that you have to put your mind to it and work super hard for it! 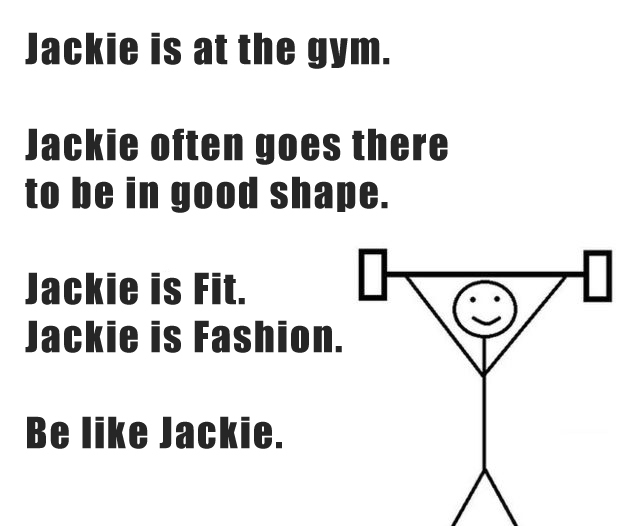 I want to be like Jackie, stay fit for fashion! FIT FOR FASHION SEASON 2 FINALE! I would also like to thank Fitness First as I have been given the opportunity to interview DEENA & JACKIE! DEENA is one of the contestants from FIT FOR FASHION season 2 from Malaysia. In fact she was the ONLY one from Malaysia! JACKIE - WINNER for FIT FOR FASHION Season 2! I had several burning questions regarding FIT FOR FASHION that I wanted to ask them! Let's see what they had to go through and let's get first-hand experience from the contestants themselves! Q1. 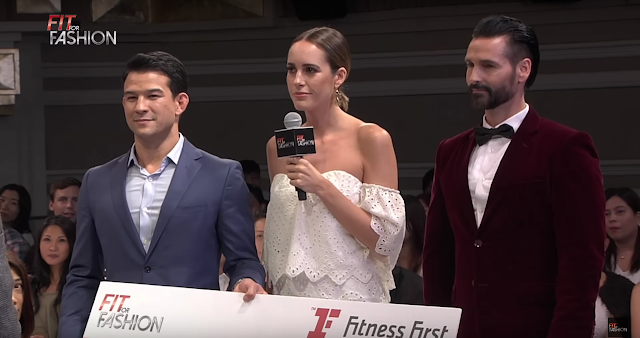 What did you gain from Fit for Fashion competition? The above are the three pillars of life I strive for and can truly say that Fit for Fashion season 2 has helped me achieve them. I have a new sense of self and shed the old habits that left me stressed, tired, and dull. I’m finally happy because I’ve reinvented my life. I escaped the deleterious habits of my former 6am-8pm routine. I changed my body composition and added years to my life. I go out more often instead of sulking at home feeling like I can’t fit anything in my closet. I overcame my old sports injury and don’t even think about my elbow when in the gym anymore. I have a new sense of energy and positive aura about me. I smile more. I feel blessed with the love and passion that I feel for the little things in life. I’m more connected with my mind and body, realizing that everything I do and think affects “Jackie”. I dreamed a better life and am living it now. I am now limitless. Q2. What was the toughest part you had to go through in the entire competition? A: The toughest part of the entire process was maintaining dietary discipline during the early stages. In order to make such a remarkable physical transformation in such a short amount of time, I was placed on a low carbohydrate, low sugar, no salt diet during the show. Overcoming the carb and sugar cravings, which hit like a ton of bricks in week #2, was the hardest part of the mental game. Time was the only thing that helped me slowly overcome the physiological effects of food cravings as my taste buds adjusted to the no sugar meal plan. I eventually learned to find comfort in healthier sweet alternatives like cherry tomatoes and small servings of fruit. Q3. What motivated you till the end? A: I was motivated by both intrinsic and extrinsic elements. The support (and expectations) of my family and friends served as a huge push to the finish line. My mother and father are tough, amazing, hard working Filipino immigrants who have sacrificed and committed their lives to paving a path of opportunity and security for me and my brother. More than anything, I wanted to make my parents proud of the risks I was taking to better myself, and show them I could be just as hardworking, successful, and strong. Their support, even from afar, was enough to carry me through the moments of weakness in this competition. Additionally, I was also empowered by the objectives of happiness, health, and better living. I reminded myself each day of my personal goals and motivated myself to keep pushing forward to achieve them. which workout is highly recommended for newbie like me? A: I don't have a favorite CustomFit workout as I enjoy all of them! I’ll gravitate towards a workout that complements how I’m feeling that day or what my target goal is for the session (lower body, upper body, stretching, long duration if I’m feeling strong, shorter if I’m short on time, etc). What’s amazing about the CustomFit app is that it caters the workout to every fitness level. The app can customize a daily program for even the most beginner athlete just starting out, and then graduate to an intermediate or advanced workout set when ready. For a beginner, I would select any beginner level workout with 15-20 minutes’ duration to start off. Q5. What do you think of other contestants and who is your favorite? A: The other contestants are like family. I don’t have a favorite, as I adore all of them for their unique personalities and contributions to the villa. We shared a life changing experience together which has created a bond like no other. Despite the show’s basis for contestant competition, we sought support from each other during times of adversity. To this day, I still reach out to Sam, Kyle, Marlon, Deena and Jess for advice about my workout plateaus or diet hurdles. The Final Five still keep in touch in a group chat and message each other daily. In fact, I just came back from a wonderful trip with my old roommate, Jess Punch, where we spent time in Thailand training and continuing our physical transformations. Q1. 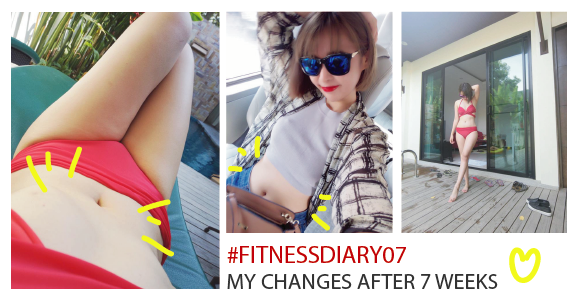 What did you gain from being part of Fit for fashion season 2? A: I have gained so much more knowledge about how our body works when we feed it with good food, I gained long lasting friendships, I gained a lot of confidence and humility throughout my journey. Most importantly, I gained a good sense of style in fashion. Q2. What is the toughest part for you in the entire competition? A: The toughest part for me was believing that I could go far in the competition. I kept doubting myself every step of the way and it showed my inconsistency until episode 6, that’s when I realized my true capabilities. Q3. Who was your favorite contestant throughout the season? A: Jackie, who reminded me so much of my mum. Her determination and fire is amazing! Something I would want in myself! Next week I will be sharing additional features of the CustomFit app and my very own nutrition plan to complement my workouts. So you better stay tune! !